The band The Stooges has the past member Iggy Pop. Later, when Iggy became more famous than any other participant of this band, the band was named with his name – Iggy & The Stooges, for example. This band made the entire collection of music to this new motion picture. One of the songs named the film. The band existed through 1967-1971, then it broke off to reunite on the short period of 3 years from ‘72 to ‘74. After long breaking apart, people from the band have decided to reunite and this time the official co-existence was the longest – from 2003 till 2016. They finally separated this time. Their best proto-punk and hard rock things they wrote in the period of two previous unities, but Iggy performs as the soloist for many years. 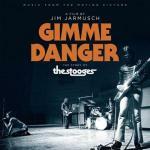 No wonder that in this documentary about The Stooges, every song and lyrics must be done by The Stooges. We aren’t fans of this entirely inside-USA rock idol Iggy Pop, and so none of the songs’ lyrics we adore – not Asthma Attack, not 1969, not any other piece. We weren’t brought up on this singer and band, so, judging from aside, they are just plain flat performers, who should have been left somewhere in 1970ies and drop doing what they were doing.